Hey y’all! I am so happy to be sharing my breastfeeding story here today on Julie’s blog. Julie is one of my favorites, and I am so thankful for the safe space she has created which has gotten me through the highs and lows of breastfeeding. Well, my name is Britt and I blog over at Brittany Louise! On my blog, I talk about babies, pregnancy, love, loss, style, and share my recipes. I moved to Birmingham, Alabama from New Orleans, Louisiana after my husband and I got married so he could begin medical school. We had our daughter 10.5 months ago and my blog has been space to share pregnancy favorites, baby products, and more. Currently, I am still breastfeeding, but we are phasing out our feedings as she is almost a year old, and I plan to stop soon after she is a year, if I make it. 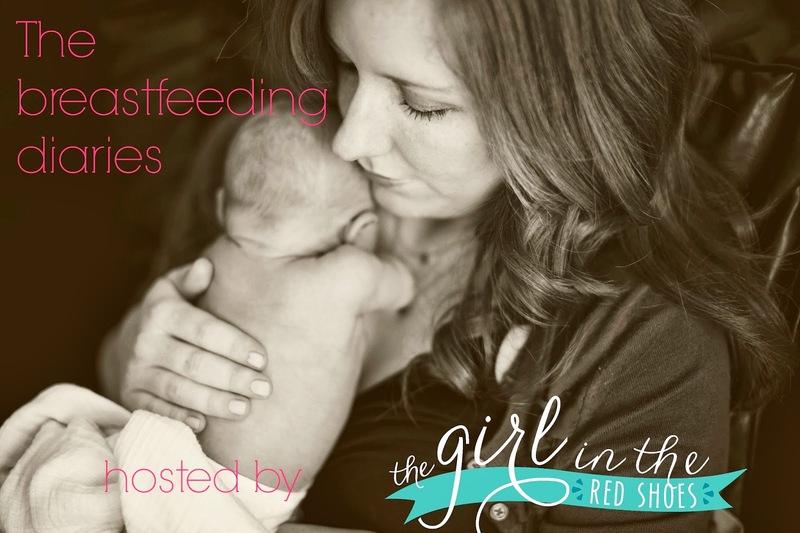 Breastfeeding has been one of the best, but most challenging things I’ve ever experienced. Being solely responsible for your child’s nutrition is very demanding and hard at times. But, breastfeeding has taught me more than just knowing how to feed my baby, it has taught me to be a selfless person. When I had a newborn, my whole day revolved around her feed schedule and to this day it still kind of does. When Scarlett was itty bitty it was very hard for me to leave the house and do things. I knew I had only 2 hours to do whatever I needed to, and even then whoever was watching her was nervous when she got fussy. Those newborn days are rough, but I promise it gets so much better and easier. Today, I don’t think twice when I need to feed her, it is so natural and enjoyable. When I decided to breastfeed during my pregnancy, I did not realize fully how much my baby would need just me. I took two classes that focused on breastfeeding and left feeling like hey, I got this! But, boy was I wrong. My difficulties began when Scarlett did not eat for 12 hours in the hospital and then we went 6 weeks without knowing she wasn’t at her birth weight. From 6 weeks to 4 months I pumped after every nursing session and begged my milk supply to boost. Finally, one day I just accepted what we had. I accepted the fact that I may have a lower supply, my baby doesn’t eat to get full, I’ll never pump over 4oz and I may have to supplement every now and then. Once I came to this realization the stress of breastfeeding immediately diminished. I finally felt like I could relax and just nurse my baby. I still pumped a few times a day to have milk to ‘top’ her off on her night feedings, but it was much more relaxing and enjoyable. I was really missing out on some sweet moments while I was too busy clocking her feeds, focusing on her latch, and etc. Granted, in the beginning I had to do these things to resolve a lot of issues I was having, but I wish I would have given myself more of a break. You can read more about those early day breastfeeding struggles, here. My biggest advice to any new mom who wants to breastfeed is visit a support group or find a group of women who breastfeed. I went to group twice a week to weigh Scarlett and to socialize with other mama’s. This gave me the knowledge to power through and the strength I needed to keep going. I leaned on my lactation consultants and met with them often. My biggest regret was not going to them sooner. I didn’t know Scarlett was still not at her birth weight at 6 weeks, and to think I could have checked on her up to twice a week was hard. But, I know now and I will not think twice about using them as resources in my future. You can find some of my breastfeeding favorite’s are here. I love sharing what worked for me because there are so many items on the market. Thank you so much Julie for having me today! I am honored to be a part of your series and hope my story helps other women who plan to breastfeed or are breastfeeding. Great post! It's a hard but rewarding job! Very true! Our bodies are amazing and it fascinates me even more every day. I love breastfeeding my daughter. She's 7 weeks old and we've overcome many hurdles! But perseverance has been so key, for both of us. It's funny, when she was first born (and she's my first), whenever we would have trouble with breastfeeding, I kept telling myself that both her and I are learning. Both of us are trying to figure it out and it was very helpful for me to get through it. Still breastfeeding strong!